PRESIDENT Mugabe will soon engage in talks with former Vice President Emmerson Mnagwagwa as part of efforts to bring sanity to both Zanu-PF and Government following interventions by the Zimbabwe Defence and Security Services last week. The Zimbabwe Defence and Security Services last Wednesday launched “Operation Restore Legacy” —an intervention meant to arrest a potentially volatile social, economic and political situation in the country. They assured the nation that the uniformed forces had not staged a coup to unseat President Mugabe but were targeting some criminal elements around the Head of State that were causing instability in Government and the ruling Zanu-PF party. The intervention followed warnings by the Zimbabwe Defence and Security Services that they would not hesitate to step in if they felt that the interests of the country were under threat. Addressing journalists in Harare yesterday evening, ZDF Commander General Constantino Chiwenga said following an address by President Mugabe to the nation that was aired on ZBCtv on Sunday night, the Head of State and Commander in Chief of the ZDF had made further consultations with the Command Element to agree on a roadmap on the prevailing situation in the country. He said their meetings held so far with President Mugabe were conducted in an atmosphere of mutual respect and several guarantees had been made. “The Zimbabwe Defence Forces and Security Services are encouraged by new developments which include contact between the President and the former Vice President, Cde E.D Mnangagwa who is expected in the country shortly. Thereafter, the nation will be advised on the outcome of talks between the two. In the meantime, His Excellency and Commander in Chief of the Zimbabwe defence Forces, Cde RG Mugabe, has started processes towards a definitive solution and roadmap for the country,” said Gen Chiwenga. Cde Mnagwagwa was two weeks ago fired from Government and subsequently expelled from the ruling Zanu-PF party for alleged deceit, disloyalty, disrespect and unreliability. But in a dramatic turn of events, Cde Mnangagwa bounced back as leader of the party after being named First Secretary by the Zanu-PF Central Committee when it met during a special session in Harare on Sunday. The party’s highest decision-making body in between Congress also reinstated Cde Mnangagwa into the Central Committee. 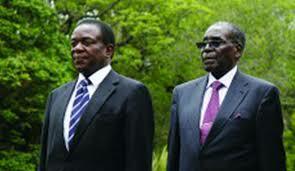 His election as the Zanu-PF President and First Secretary will be ratified at the Extraordinary Congress next month. In his statement, Gen Chiwenga called on members of political parties including the ruling Zanu-PF, war veterans, students and the general public to refrain from any actions or activities that would threaten peace, life and property. “Students at the country’s various institutions are encouraged to be calm and to proceed with their educational programmes as scheduled. They need to remember that one day of education lost is difficult to recover,” he said. Calls by Gen Chiwenga came amid reports that University of Zimbabwe students refused to sit for examinations yesterday and held a demonstration calling for the resignation of both President Mugabe and the UZ Vice Chancellor Professor Levi Nyagura. The students said they were tired of corruption at the university, including the allegedly “dubious” award of a doctor in philosophy degree (PhD) to First Lady Dr Grace Mugabe in 2014. Gen Chiwenga paid tribute to Zimbabweans for the support during the execution of Operation Restore Legacy. He said they were also heartened by the people’s display of composure and discipline during the various marches at the weekend with no incident of public violence. “We remain a people’s force and security services, which is why the uppermost on our mind is the conclusion of this whole operation with the minimum inconvenience and certainly without any collateral loss of life, injury or destruction to property,” Gen Chiwenga said.